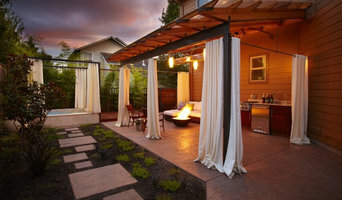 Portland's Experienced Landscape Designer Best of Houzz 3x! Jenna Bayer Garden Design, Inc.
We began our business in a time when your word was your bond. And we’ve never lost that ethic. In everything, we are here to serve our customers. We endeavor to set expectations with clear and timely communication. We stand behind our work and will not take short-cuts or use shady tactics. We follow a clear and well-outlined methodology for all our services, so clients are never left to wonder how, why or when. In short, we believe that the measure of our success comes from both a job well done, and our story well told. Bob Snodgrass and his wife, Meryle, started 7 Dees in 1956. During the early 1960’s, Bob decided to expand the business and purchase a second garden center at the Stark Street location. At that time, much of the surrounding area was undeveloped, but Portland was beginning to grow rapidly and it seemed inevitable that a store on the perimeter of the city would eventually thrive. Bob and Meryle named the business after their seven children – six sons and one daughter, whose names all begin with the letter ‘D’. Hence the name 7 Dees. To Bob’s delight, all of his children have shared his passion for plants and beautiful landscapes. 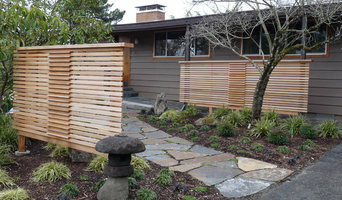 Celilo Gardens is a landscape design studio in Portland Oregon. Bonnie brings more than 30 years of design experience, 15 years of sustainable focus and 25 years of plantsmanship to the landscaped environment. She inspires and coaches the “blackest thumbs” into nascent plant nerds. She integrates water wise strategies, alternatives to chemical use and incorporates edibles in ornamental landscapes wherever possible. She prides herself on choosing the right plant for the right spot…the first time. And, she is nice. Design/Build landscape firm located in greater Portland Metro. Design and coordination of Residential and commercial landscapes. Anderson Poolworks is a licensed and bonded residential and commercial pool contractor based in Wilsonville Oregon. 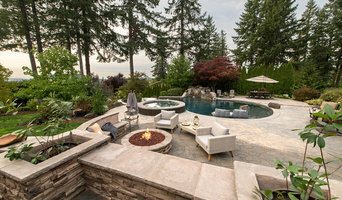 Serving clients in the Portland and Vancouver areas, as well as Bend Oregon, and the Seattle Washington area, Anderson provides residential pool construction, pool renovations, pool service and maintenance, pools, spas, water features, lighting, pool equipment, and specializing in the art of water design and water shaping. Clarkson Porta Design is a boutique design collaborative aimed to create functional, yet beautifully unique design solutions within the built and natural environment. We create spaces and structures that provide a destination, invoke emotion and inspire innovation, while meeting the specific needs of each client. Through the reuse and conservation of manmade and natural materials, we implement sustainability in each and every project. Saving the world isn't our direct goal, but we take advantage of the opportunity to help out. CPD specializes in transforming small urban spaces, but is capable of handling projects of any scale! From tiny urban retreats to a 5 acre estate, we implement sustainable design techniques, harping on both aesthetics and functionality. The Clarkson Porta team serves as professional guidance to help bring your vision to life. We will provide not only an eye for detail, but the knowledge and expertise to complete the project with excellent service and exceptional quality! Landscape Design, Consultation, container design, plant procurement and fine gardening. We focus on sustainable drought tolerant landscapes and solutions for exterior design.